The Blavatnik Family Foundation has been confirmed to have pledged a multi-million-pound donation to The Illuminated River Foundation, a registered charity looking to transform London through a unified art installation using lights. The Blavatnik Family Foundation is led by Sir Leonard “Len” Blavatnik, popularly known as one of Britain’s top billionaires, and head of Access Industries. 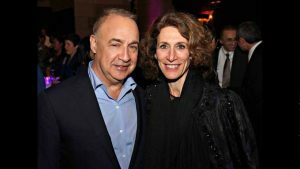 Through this generous donation, Sir Len Blavatnik joins The Rothschild Foundation as well as Peter Baldwin and Lisbet Rausing of the Arcadia Fund as the top benefactors of the project. The Arcadia Fund and The Rothschild Foundation were confirmed to have donated £5 million each. A total of 15 bridges will be illuminated through this project. It will effectively light up the entire span of the Thames river. These bridges include: (1) the Albert Bridge, (2) the Chelsea Bridge, (3) the Grosvenor Railway Bridge, (4) the Vauxhall Bridge, (5) the Lambeth Bridge, (6) the Westminster Bridge, (7) the Golden Jubilee Footbridges and the Hungerford Bridge, (8) the Waterloo Bridge, (9) the Blackfriars Bridge, (10) the Blackfriars Railway Bridge, (11) the Millennium Bridge, (12) the Southwark Bridge, (13) the Cannon Street Railway Bridge, (14) the London Bridge, and (15) the Tower Bridge. The Illuminated River project is expected to cost approximately £45 million, or around £3 million per bridge. That includes not only the design and implementation of the project but also the cost of maintaining it over the next decade. While the exact figure of the Blavatnik Foundation donation was not disclosed, it is through private and philanthropic sources like them that the rest of the required funds will be secured.